Public health officials have had an unhealthy obsession with mircoorganisms for nearly 200 years and have successfully communicated their fear of germs to the general public, which is now infected with the same fear. Like an Army on amphetamines, the M.D./Ph.D. public health generals directing the War on Disease have hunted down microorganisms using humans injected with antibiotics or vaccines they have created as weapons. In their ignorance, they have failed to take into account the evolution of man and the viruses and bacteria which have co-existed with man for as long as he has walked the earth. 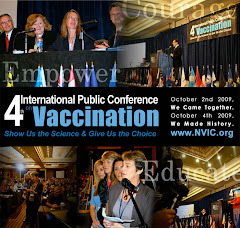 Now, the human immune system is being manipulated from the first day of life and throughout childhood through injection of multiple vaccines containing lab altered viruses and bacteria and toxic additives. Unable to function and mature normally, meeting the challenge from viruses and bacteria by stimulating and resolving inflammation, the immature human immune system is crippled and gets "stuck" on inflammation. If children are genetically vulnerable to autoimmune dysfunction, they are the first to become stuck on inflammation after vaccnation. Millions of inflammed children, suffering from asthma, juvenile diabetes, autism, developmental delays, inflammatory bowel disease, juvenile rheumatoid arthritis, severe, life threatening allergies and other neurimmune dysfunction never had a chance to mature into healthy teenagers and adults. Their immune systems have been too busy trying to deal with the constant assault of too many vaccines too early in life. But some researchers think they have the answer to healing at least one kind of inflammation children are suffering. They are giving children worm eggs to swallow so parasitic worms can infect the children's inflammed intestines and resolve inflammation. It appears worms, which have also lived on earth for as long as man, can sometimes have a symbiotic relationship with man and do him some good. 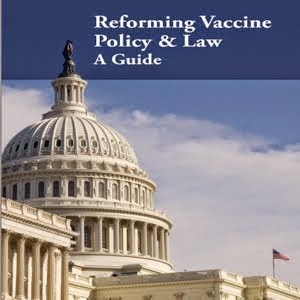 Too bad the Generals running the War on Disease using syringes as guns didn't stop to consider that maybe infection in childhood with microorganisms that cause mostly benign childhood diseases, such as chicken pox and flu, might have done the developing immune system of kids some good. Then maybe kids wouldn't have to swallow worms so their immune systems could function properly and keep them healthy.